Many brands have tried to design a stylish yet functional riding chino, but very few have succeeded. 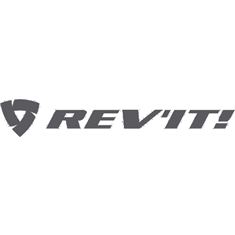 Dutch brand Rev'It! has the experience and the know-how to do it right and that is immediately obvious when looking at the Alpha RF chino. These are full-fledged riding trousers: they're constructed out of a 10.5oz abrasion-resistant Cordura that is reinforced with Rev'It's proprietary PWR | Shield in the knee and seat area. The Alpha RF comes equipped with Seesmart CE level 1 armour in the knees and pockets for optional hip armour. In short: Rev'It managed to design a fully protective trouser, and it doesn't show. There are no external stitches disturbing the clean looks and revealing the protective properties of the Alpha RF. The Seesmart armour is impressively flexible and inconspicuous and won't disturb the lines of the chino. They're more than comfortable enough to be wearing all day and the Cordura stretch denim has a Coolmax element incorporated into it that will help keep you cool on the hotter days. The hem has a 3M Schotchlite reflective strip on the inside that becomes visible if you choose to fold it up.